The men’s and women’s golf teams have both tee’d off to begin their seasons. Both teams are coming off disappointing endings from last season. The Panthers have worked this offseason to clean up their games, and they are underway to change their fortunes this season, beginning with their brief fall schedules. 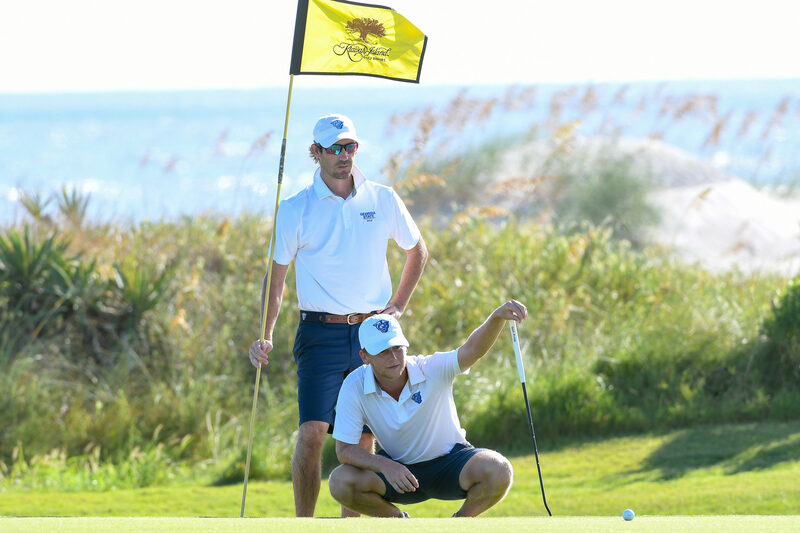 The men’s team won the Sun Belt Conference championship back in 2016, and the women finished second in the same year. Last year the men’s team finished tenth out of 12 teams, a far cry from the year before. Now they are on a track for redemption in head coach Chad Wilson’s second year at the helm. The team will have to replace Alex and Max Herrmann as two of the best golfers the program has seen. With those two now gone, it will be up to seniors like Nick Budd and Severin Soller to help lead the Panthers back where they need to be. In the first tournament of the year, the Panthers finished 11th out of 14 teams in The Invitational hosted by the College of Charleston. The match was shortened due to a state of emergency caused by Hurricane Florence. Budd led the Panthers on the final day with a 1-over par for 71 holes and 7-over par for the entire tournament. Freshman David Li shot 9-over for the tournament, and he was the team’s second best performer at the tournament. Wilson knows that his team is not where it needs to be, but he understands it’s a work in progress. There are several things that Wilson wants his team to improve on, but one of the big ones is the mental game. In his second year, Wilson hopes that he will be better in the first. He learned some lessons last season that will help him this year. Wilson hopes that things will begin to start clicking for the team around mid-April before they prepare for the conference tournament. By then, he hopes to have his Top 5 golfers, and he will know where each player stands. The spring schedule has not been released, but the Panthers have three more tournaments for its fall schedule. Despite the slight drop in the finish from the women’s team in the conference championship, they return their best players and hope to improve. Junior Harmaprit Kaur and sophomore Chloe Howard will lead the charge for the Panthers this season. Howard had a Top 5 finish last season, and one of her biggest goals this season is to win a tournament. Mant is confident the Panthers can do that this year. Mant is also looking for improvements from Kaur as well. During her freshman season, Kaur played No. 1 for the Panthers, and split time as the No. 1 golfer a year later as a sophomore. Last season, Howard and Kaur were the team’s Top 2 finishers in six tournaments and were in the Top 3 in all of them. Howard had a Top 5 and a Top 7 finish last season. This team only has one senior, and that is Jemima Gregson, so it will have to rely on youth. Mant added four freshmen to this year’s group. Two are scholarship athletes and two are walk-ons, but Mant believes that all of them can help. Two of the freshmen have qualified to play in the the team’s Top 5. One freshman in particular that Mant and the coaching staff are impressed with is Emma Berlin, who posted a 3-over par during the qualification rounds. As of now, the women are set to play in four fall tournaments. Every habit the Panthers build right now leads up to their chief goal, winning the conference championship in late spring.